If General Motors has their way, in-car boredom might be a thing of the past very soon. GM is planning an extensive rollout of wireless internet technology in their vehicles, one that will see most 2015 Chevrolets equipped with built-in AT&T 4G LTE. 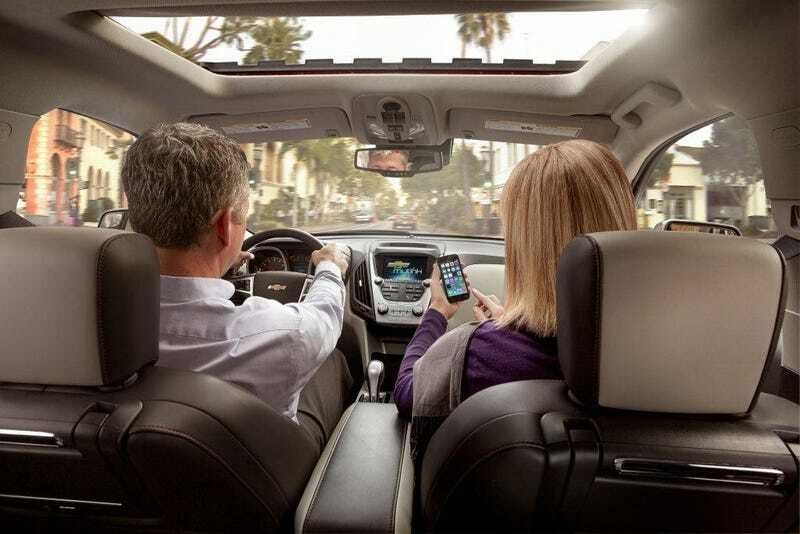 GM is calling it OnStar 4G LTE. What does this mean for drivers or passengers? It means their next Corvette, Impala or Silverado will have a wireless hot spot for their smartphone, tablet, laptop, or Apple Newton. GM says this technology will be on nearly every Chevrolet car, and each vehicle can connect multiple devices. Yes, plenty of car companies have been doing this a while, particularly on higher end models. But GM says Chevrolet will have the broadest implementation of 4G wireless of any car brand, and it will be across multiple price levels. The Internet connection will allow for more than just fast Jalopnik browsing on the go. GM says the built-in 4G LTE connection will allow them to update their vehicles with the latest software and apps remotely, so they can continually tweak and improve their infotainment systems. The new technology coincides with the 10th generation of OnStar, which was first released in 1996. Pricing hasn't been announced, but GM says if you're a current AT&T customer you can add this to your existing data plan. What else is coming to your next car? Apps! Apps, of course. Apps like The Weather Channel, NPR, Cityseeker and various radio streaming programs. For better or worse, the car is becoming more and more like your smartphone every year. Analysts say GM could see a revenue boost from the new 4G Wi-Fi service. IHS Automotive last year estimated 4G LTE could add $400 million in gross profit by mid-decade; it was cited in a Citi Research investment note. While purists may scoff at the idea of in-car Internet for devices, you have to know that mainstream drivers not only want this, but are fully planning to make use of it. It's probably just a matter of time before this becomes de rigueur on all new cars.